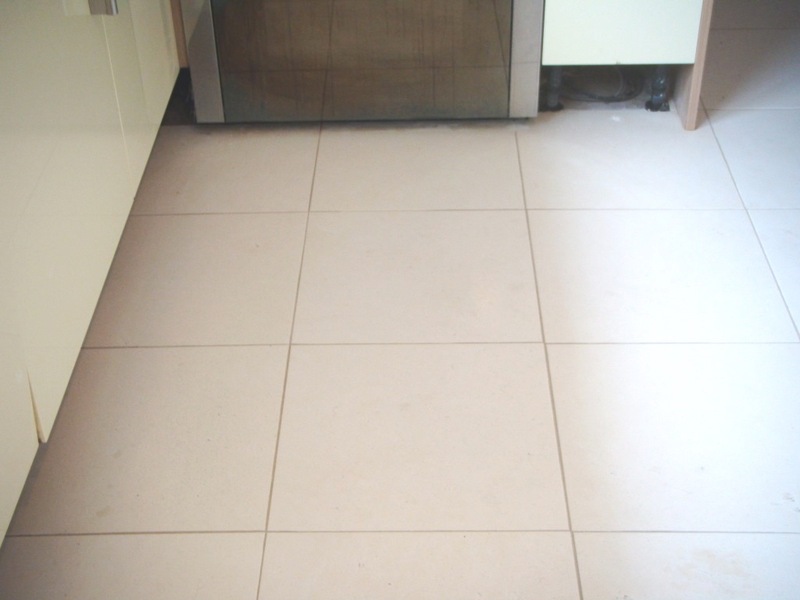 This Limestone tiled floor was installed in the kitchen of a house in the town Market Harborough, Leicestershire. 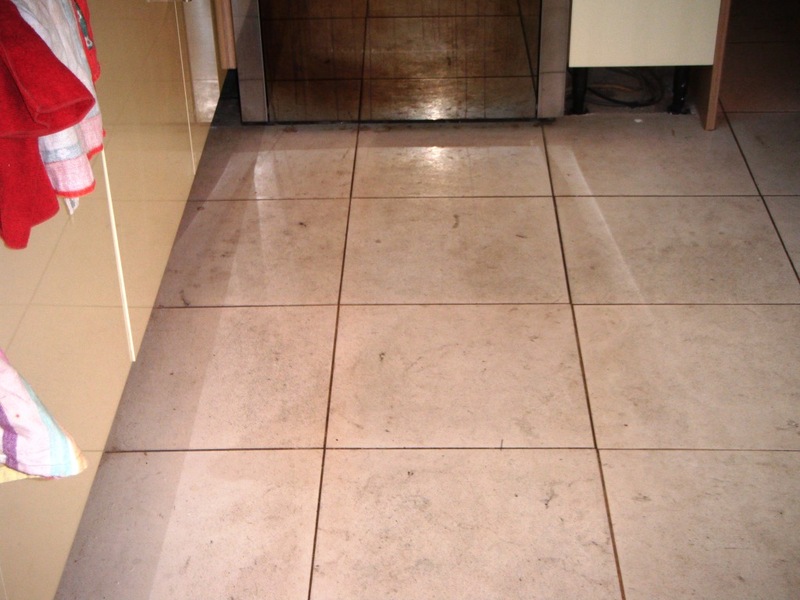 The tiles were quite dirty and had become ingrained with dirt which hopefully you can see from the photograph below. 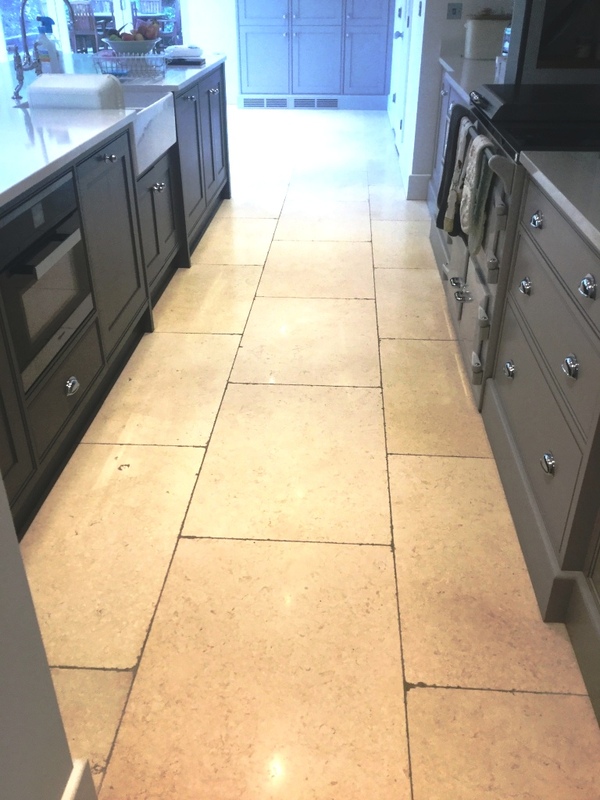 Before commencing cleaning we remove the kick boards from the kitchen units and applied a solution of Tile Doctor Remove and Go which was left to dwell on the tile for twenty minutes before being worked in with a rotary machine fitted with a scrubbing black pad. 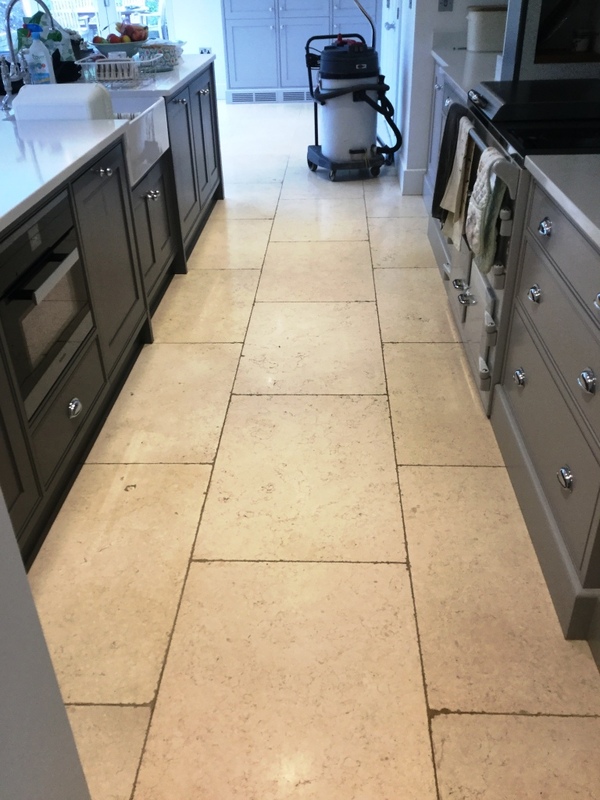 We also used Remove and Go along the grout lines but scrubbed them using a stiff grout brush by hand to get them clean. 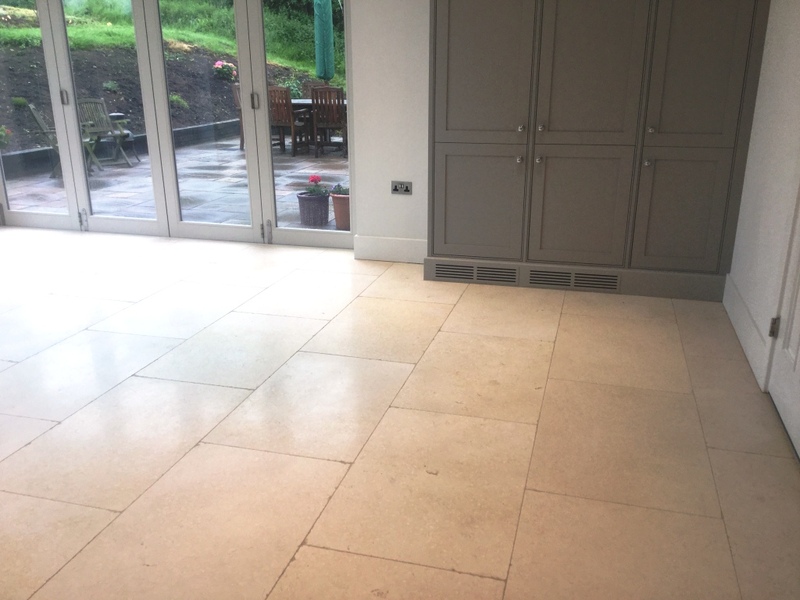 When we were happy with the results the soiled cleaning solution was removed with a wet vacuum and the floor rinsed with clean water to remove any trace of cleaning product before sealing. The floor was left to dry overnight and we came back the next day to seal the tiles checking first that the floor had dried out. 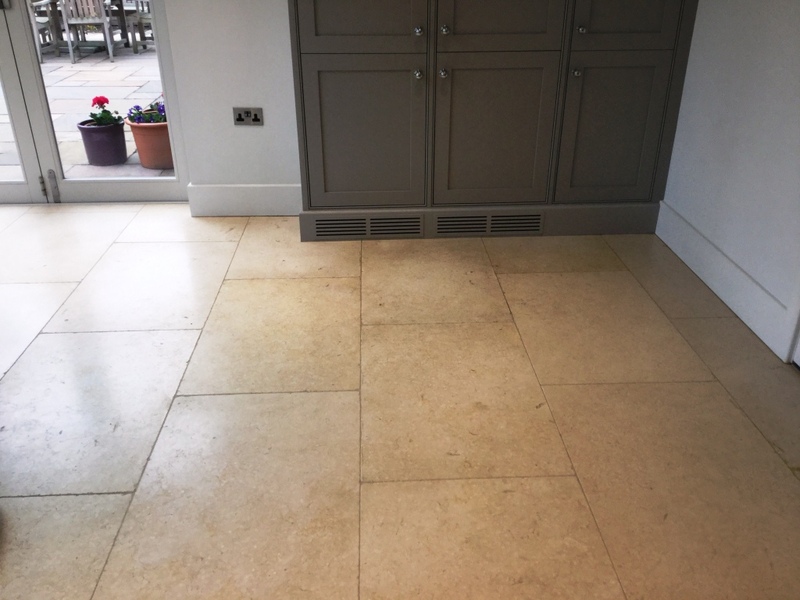 To customer wanted a matt appearance so to seal the tiles a couple of coats of Tile Doctor Colour Grow was applied, Colour Grow is an impregnating sealer that soaks into the pores of the stone occupying them so other contaminates can’t become ingrained in the stone, it also lifts the natural colours in the Limestone tiles as well. Once the sealer had dried I then finished it all off with a quick buff using a white buffing pad.